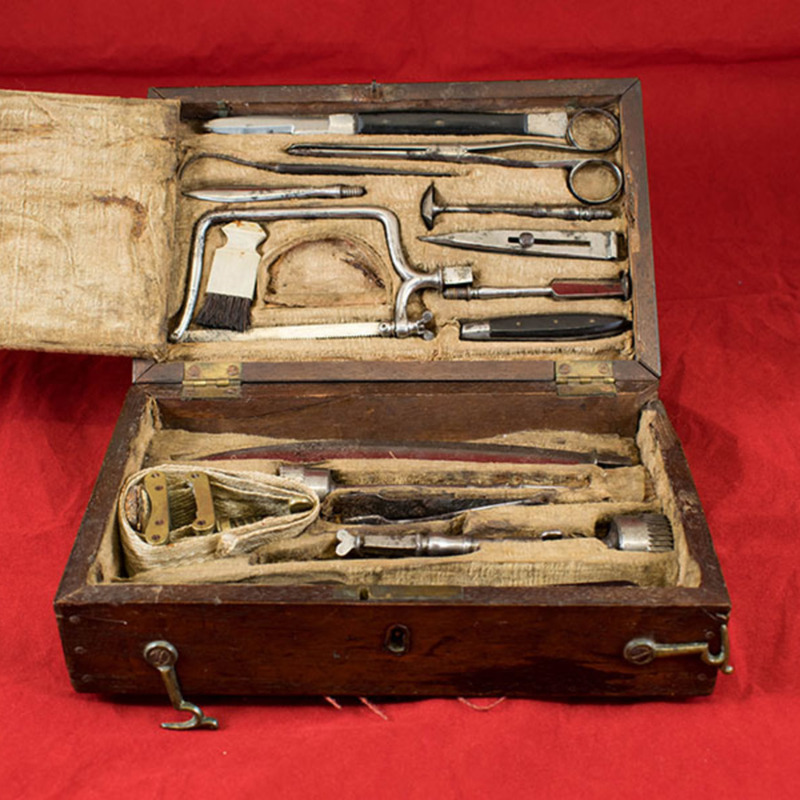 Wooden box with a brass handle and plaque inscribed "William Beatty, Royal Navy", containing instruments including a screw tourniquet, an amputation knife with detachable handles, two trephines and forceps. 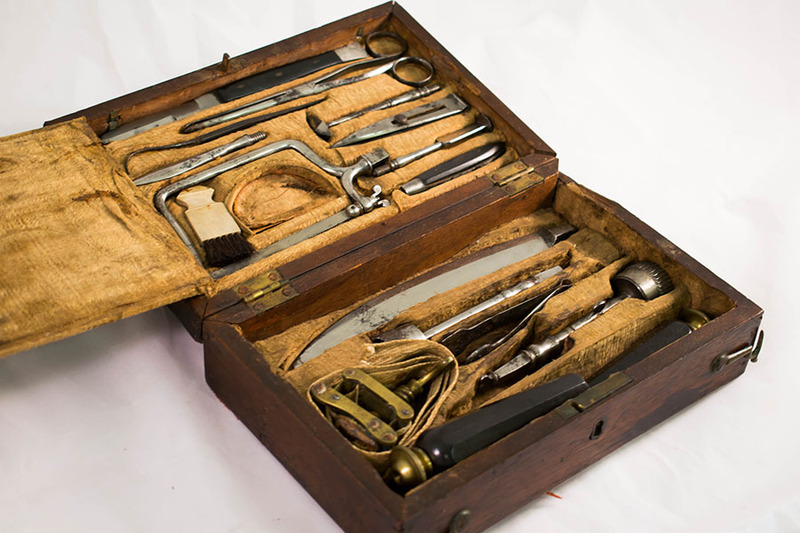 Inset into the box lid, behind a velvet-covered panel, are more instruments, including a fine-toothed bow saw, a knife, a hook and forceps. 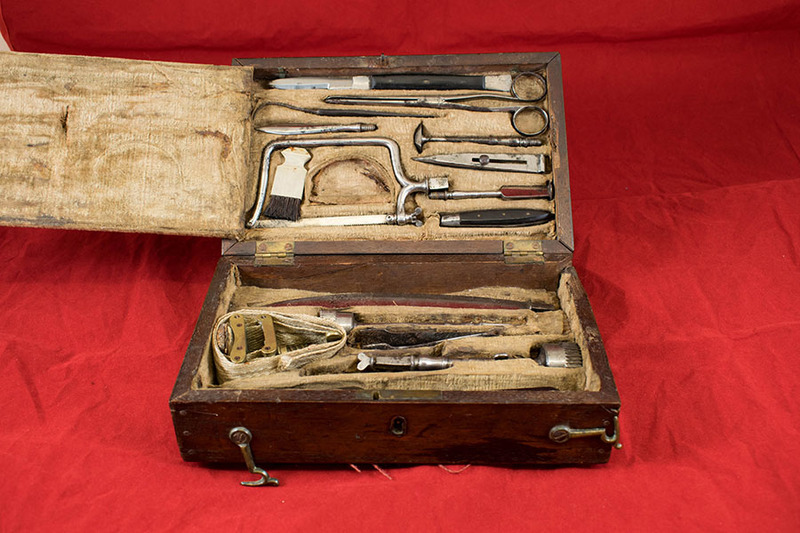 Gifted to the Royal Faculty of Physicians and Surgeons of Glasgow in 1924 by Mr William Ewing Gilmour of Rosshall, Sutherlandshire, at the instigation of J.B. Hilliard, instrument maker. 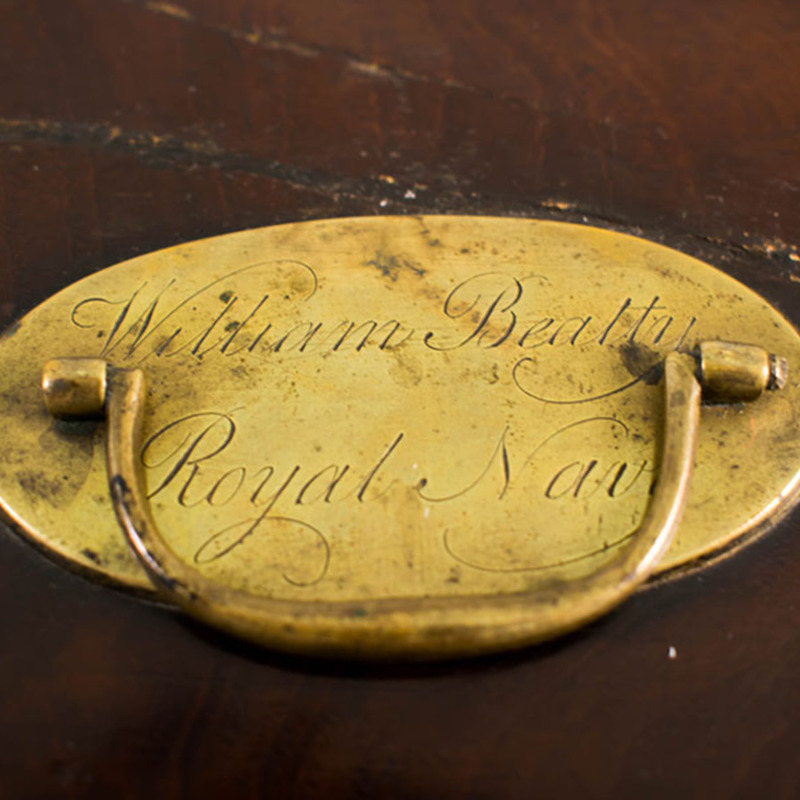 William Beatty was a naval surgeon during the Napoleonic Wars (1803-1815), and was present at the death of vice Admiral Horatio Nelson during the Battle of Trafalgar. 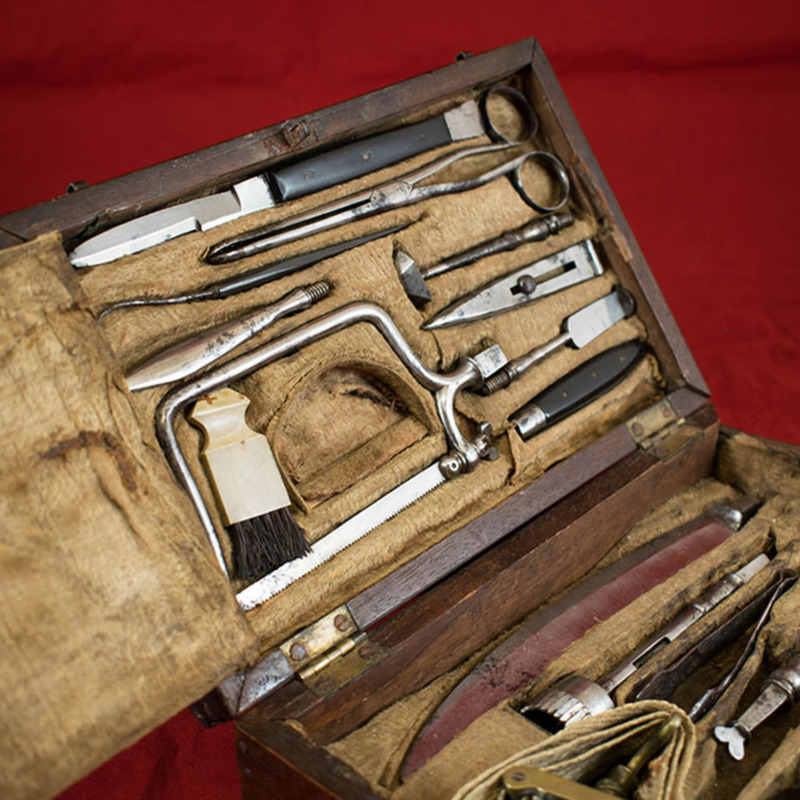 Admiral Nelson was shot through the shoulder with a musket ball, perforating both lungs before lodging beneath his right scapula. 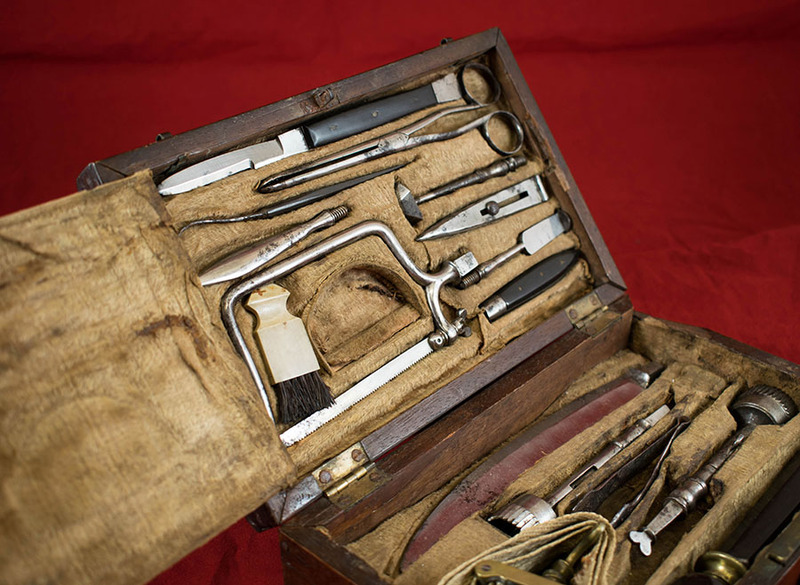 Laundy; 1783-1843; surgical instrument makers, “Surgical instruments of William Beatty,” Heritage, accessed April 25, 2019, https://heritage.rcpsg.ac.uk/items/show/54. 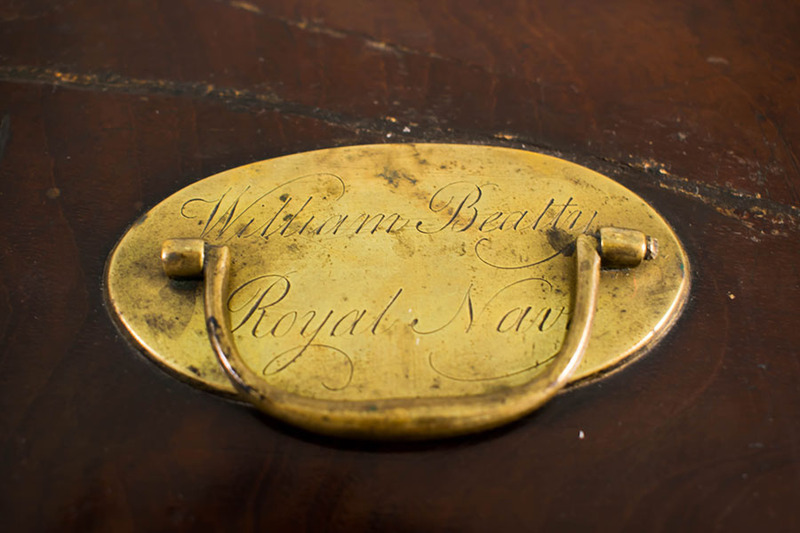 Description: Wooden box with a brass handle and plaque inscribed "William Beatty, Royal Navy", containing instruments including a screw tourniquet, an amputation knife with detachable handles, two trephines and forceps. 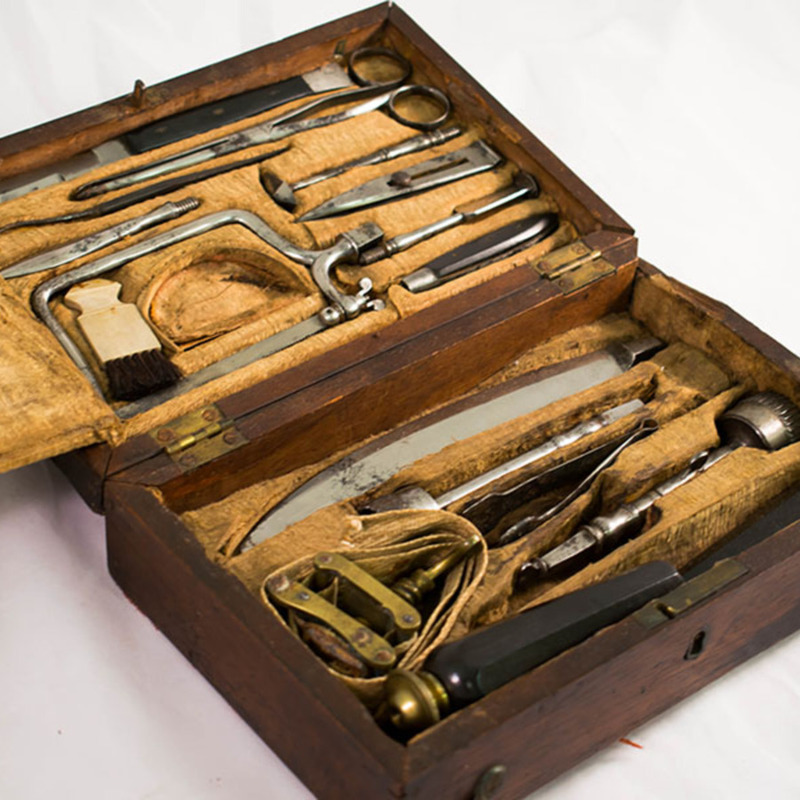 Inset into the box lid, behind a velvet-covered panel, are more instruments, including a fine-toothed bow saw, a knife, a hook and forceps.